Welcome to this week’s round-up, I hope you have had a fun and productive week. 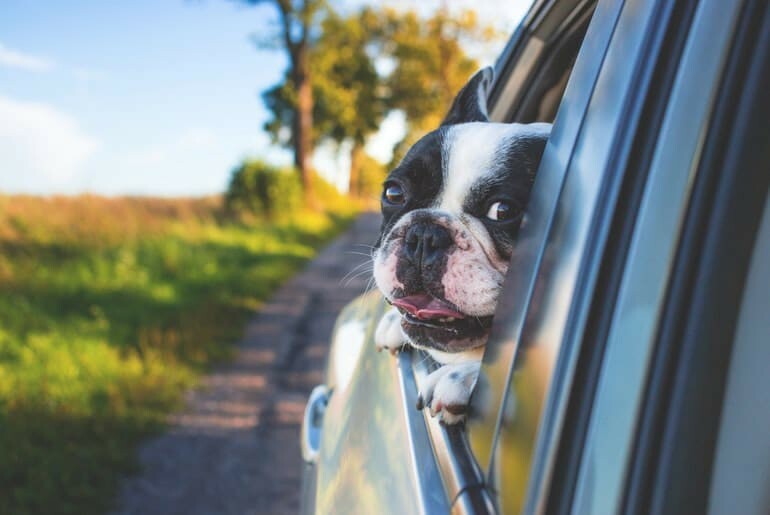 In this week’s round-up we take a look at the bonuses and pitfalls of having a remote team, a massive list of hobbies you can take up or use to keep the kids occupied over the summer holidays and how to get your four legged friends ready for a road trip. Companies are slowly starting to get on the remote working train, realising that it’s a benefit to employees as they no longer have to face a horrible commute and the company as well as they now have access to a bigger pool of talent and have less office costs. In this article MailerLite looks at the benefits of remote working and also covers some of the issues that it may cause as well. This interesting infographic from RedBrain looks at some of the largest US stores and compares their physical and online presence. I find it interesting to see that there’s still a very large gap between offline and online sales – despite constantly being told physical stores are losing out to online sales. There’s a difference between saving some money wisely and being a Skinflint – and there are some things you probably should go cheap on – one of them being a haircut according to Prime Your Pump! We’re getting close to the summer holidays so if you’re looking for fun things to do with the kids (whether they’re boys or girls despite the article being geared towards men) then this massive list will have the kids (and you) covered for the whole holidays. Getting pets ready to go on a trip can be as complicated and as awkward as getting the kids ready! There’s a lot of things you need to remember to pack, and this great article has lots of tips and an infographic to help you keep your pet happy and safe on the journey. Who has time for cleaning and exercise? Not me, that’s for sure! Usually we need to pick one or the other – but that need not be the case now as HappyCleans has a great infographic on how you can use your cleaning routine as exercise and kill two birds with one stone. So, next time you don’t feel like doing the ironing remember it burns 128 calories an hour! If you’re a bit of a bookworm then you may find yourself wondering how best to organise your books – do you go for genre, author, size? The options are almost endless so Wayfair has broken down reader types and given each their own specific way to order their books. Personally I order mine by size & author – how about you? Let me know in the comments! We have another great infographic for you, and this one is all about how you can make your home office a productive space without having to sacrifice your style. From reducing anxiety to helping you sleep, music has many benefits and the guys over at Music Oomph give you 13 reasons why you should be using music to combat stress. If you’re trying to get organised for a big project then it can be difficult to know where to start – you can list everything out on multiple pages but it can be difficult to tie relevant themes together or find a specific point. Mind Maps are great for their flexibility in organising all the information you need for a project and it will get the creative process started in no time at all.